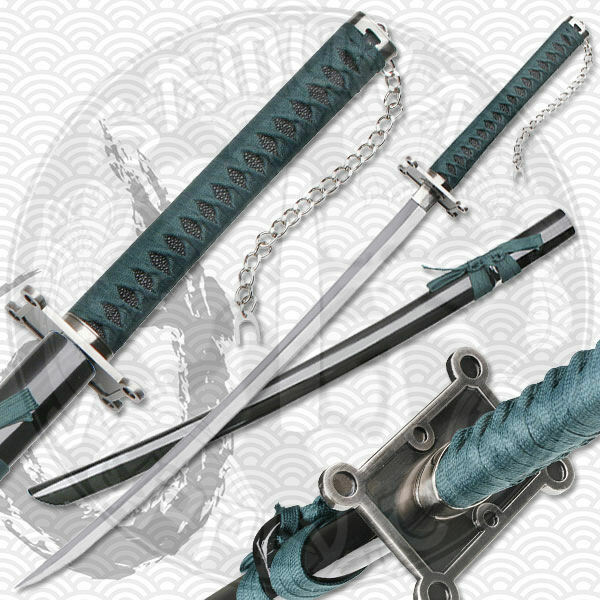 This is a very unique Samurai Sword. 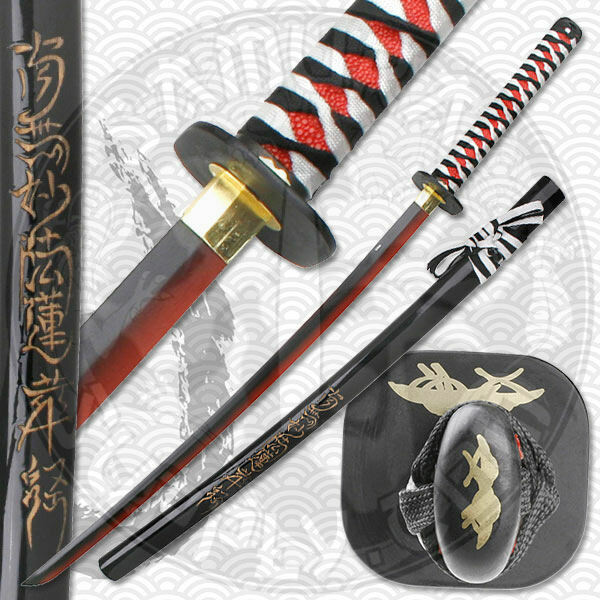 This Decorative Red Samurai Katana comes with a 2 toned blade of black and red. 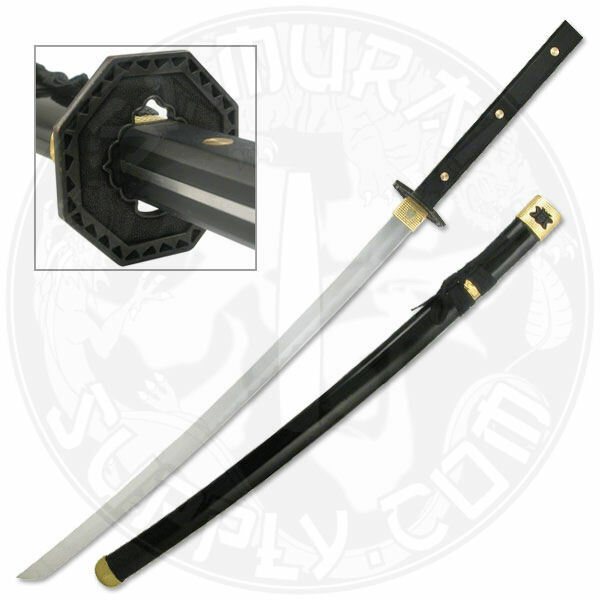 The saya is black and has Japanese writings in gold along the length. The tsuka has black and white ito braid over faux red same. Go ahead and order yours today and add it your decorative swords collection. Measurements: Blade: 27", handle: 11", overall: 38", weight: 1.7 lbs.